Last year our Rotary Theme was Making a Difference. At the start of the year, one million people in Honduras lacked access to safe drinking water, 1.6 million people did not have sanitation facilities and very few rural locations were treating their water to make it safe. Anna Casalme, a student from Chino Hills, interested in pursuing an MSc in Childhood Studies from the University of Edinburgh with a focus on child and adolescent health, was seeking financial assistance to get the medical training she needed to help mothers and children. 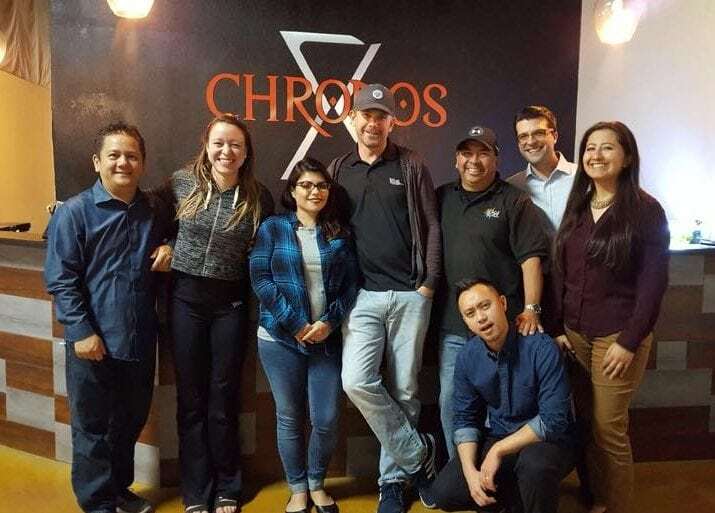 In Tijuana, Mexico 649 people were preparing to take part in a program designed to develop mentors, and indigenous leaders to run projects, identify needs and create tailor-made programs for those needs turning a village into a community. And I was asking each of our members the same 4 questions. What do you like about Rotary? What can be improved about Rotary? What can Rotary do for you? 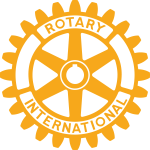 What can you do for Rotary? Based on that feedback, we set one goal – to double our membership – from 17 members to 34. In order to do that, I asked our members to commit to doing a few things for our Rotary Club. 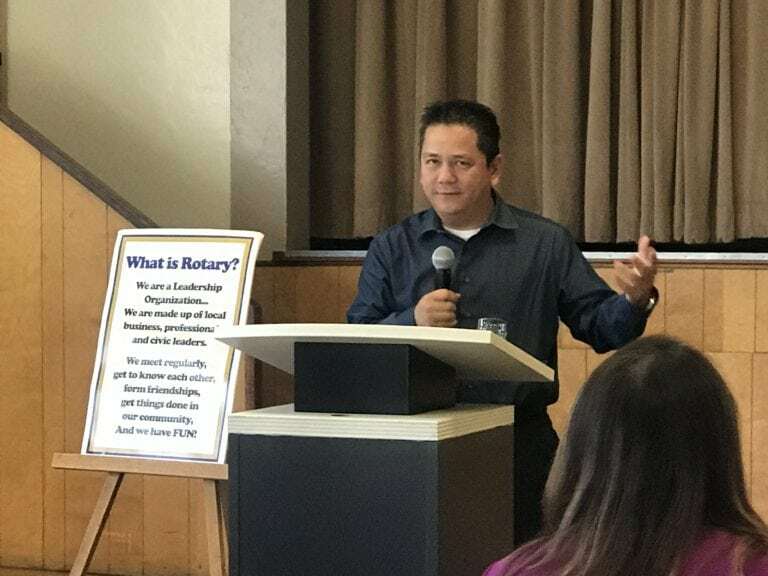 We conducted a membership meeting at the beginning of the year and during that meeting I asked us to identify the organizations and individuals who should be a part of the Chino Rotary Club. And I got to work making sure we invited those people/organizations to our club. Anthony Verches, President of The ESV Group, Inc.
At the beginning of the year I printed out a sheet which had all of the clubs in the local area, the times they met and encouraged our members to make up meetings at other clubs. We have a member in our club who has 55 years of perfect attendance. When Kevin Sullivan started his streak of perfect attendance my parents were in junior high school. But, in addition to attending our regular meetings, it’s also important to attend the events that bring a bigger picture to Rotary. 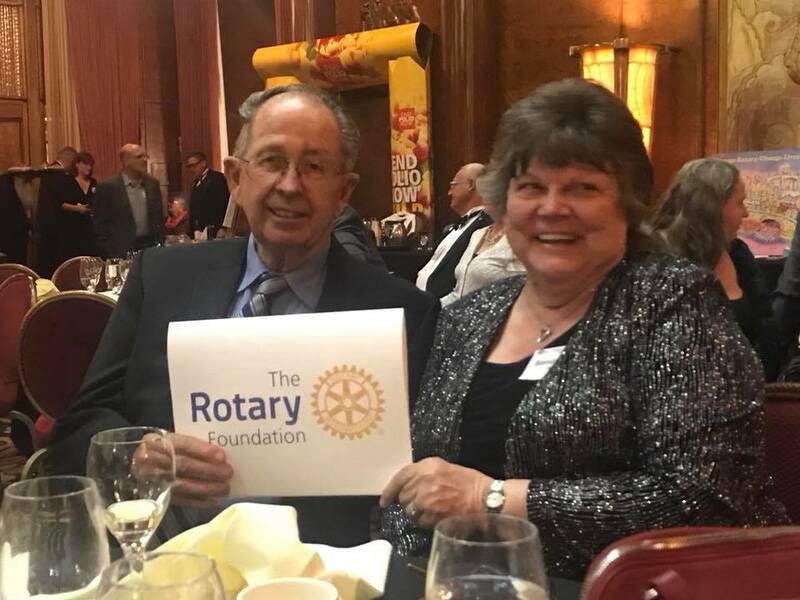 Gene and Louise Hernandez travel the globe attending Rotary events throughout the year. Our District also regularly puts on training events and fellowship events which help show the global impact Rotary has on the world. 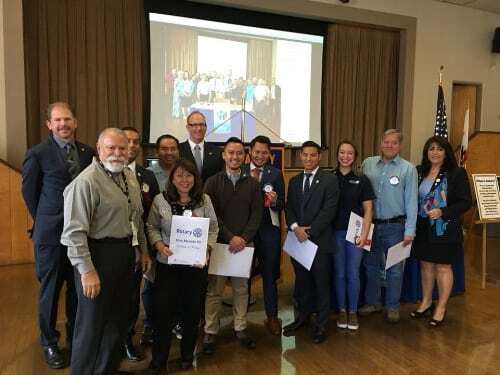 CP Phan, Linda Perla, Rick Bui, Chris Foster, Dale Bright and Anthony Verches all spent time attending District events this year to bring back powerful ideas to our Rotary Club. And lastly, while attendance is important we must remember the true mission of Rotary, service above self. 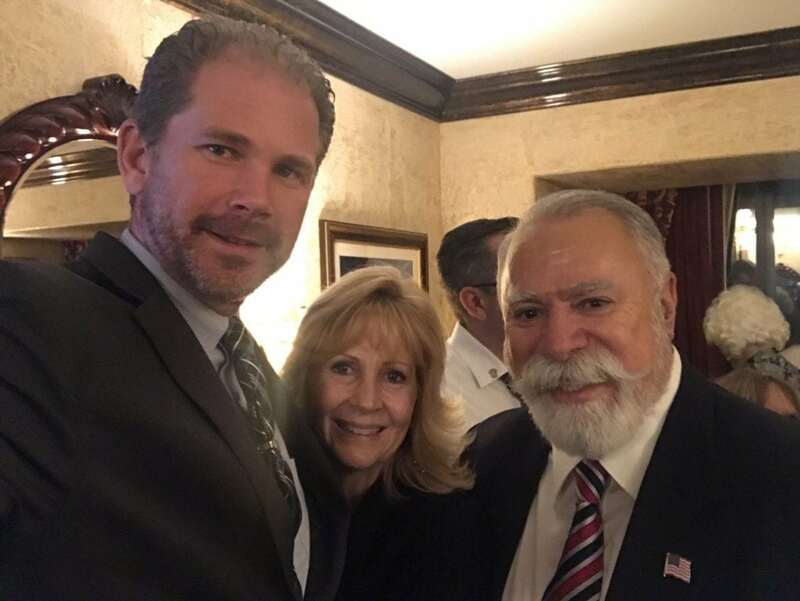 Danny Bozart, who couldn’t make it to several meetings, is the General Manager of a $40 million steel plant in Chino and he travels on a weekly basis. It’s not possible for him to make it to every meeting, but he makes every effort to make our Wednesday meetings. In fact, last week he told me he was in another part of the United States on Wednesday, but when a meeting cancelled, he took the redeye flight to get home just so he could make our Rotary meeting. Of all the things I think our Rotary Club can stand to improve the most, being more friendly is at the top of the list. We have some amazing people in our Rotary Club who are all volunteering their time to make a difference. As a club, we’re often quick to criticize, and rarely take the time to thank each other for the work we’ve all done to make our communities better. There are so many things competing for our time today that if we feel valued and appreciated, especially as volunteers, we’re more likely to continue. If we feel our efforts are not valued, it’s easy for us to spend our time somewhere else. I’d also like to use this as an opportunity to thank each and every one of you for the time, effort and energy you put in to make all our lives better. To be honest, when I joined our Chino Rotary Club, I was confused. 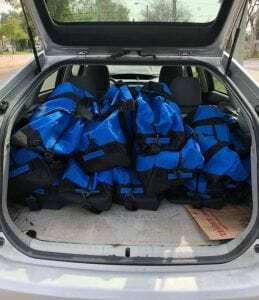 I thought we were a service club meaning we went out and provided service for those in need. And, after my first year in Rotary, we really didn’t do much in terms of hands on activities. But, in surveying our members, I understand that that was something that used to happen a lot more often and we just moved away from it as a club. Every member I spoke with said they enjoyed those and so, as a way to attract more members, I asked our current membership to take the responsibility of planning a hands-on service project each month. Anthony Verches and Rick Bui organized a Chino Rotary Club team at the Love Them All Softball Tournament to help give children and adults with disabilities the opportunity to play in organized sports and participate in social outings. Eren Cello organized an outing to the Inland Empire United Way where we toured the facility and wrote cards for terminally ill children. In the middle of the year we instituted a mentor/mentee program with the idea to get more connected with one another. Each of our new members had the opportunity to choose a mentor from our established members. There was no specific format or procedure to follow, other than to connect with one another and learn about each other. 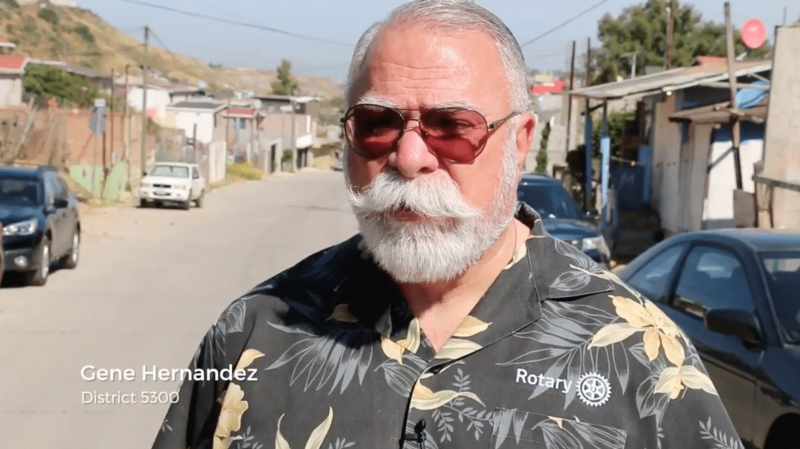 Prior to this year, my Rotary moment was building a home for a needy family in Tecate, Mexico. But, I think the thing I’m most proud of this year is connecting our members with one another to do some remarkable things. But, probably my favorite story was with Kevin Sullivan and Linda Perla. Kevin called up Linda and asked her to attend an event he was scheduled to speak at because he needed a ride. Turns out the event was The Southern California Tennis Association was hosting a Hall of Fame ceremony for Kevin’s best friend, Rod Laver. Billie Jean King, Michael Chang, Tracy Austin and Pancho Gonzalez were also honored. And here was 21-year-old Linda Perla at the head table with these legends of tennis, all thanks to Kevin Sullivan and Rotary. We raised $28,960.06 this year. We gave $2,000 to Isaiah’s Rock, $500 to Make a Child Smile, $500 to the Chino Cultural Center, $1,500 to the YMCA, $500 to Big Brothers/Big Sisters, $500 to the Love Them All Foundation, $500 to Gold Star Moms, $150 to the Chino Valley Chamber of Commerce’s Salute to Public Safety, $250 to Together We Rise, $2,650 to CVUSD Teachers via the Debbie Wilson Teacher Mini-Grants, $2,286.62 to Every One Free, $500 to an Eagle Scout Pole Project, $500 to the Boy Scouts, $156.44 for the Crombie Allen Awards, $1,200 to TLC, $1,200 to RYLA, $750 to the Academic Decathlon Team at Don Lugo, $750 to the Dan Stover Music Contest, $625 to the 4-Way Speech Contest, $3,262.68 to the Stepping Up for Boys program, $1,050 for Anna Casalme’s Global Grant, $500 for the SuperBuild project, $500 to the Rose Parade Float, $1,000 to the Honduras Water Project, $500 to the District 5300 Peace Conference, and $1,000 to the Polio Plus program totaling $30,314 distributed to the charities we support. But, I think our biggest impact came form the things I mentioned at the beginning. 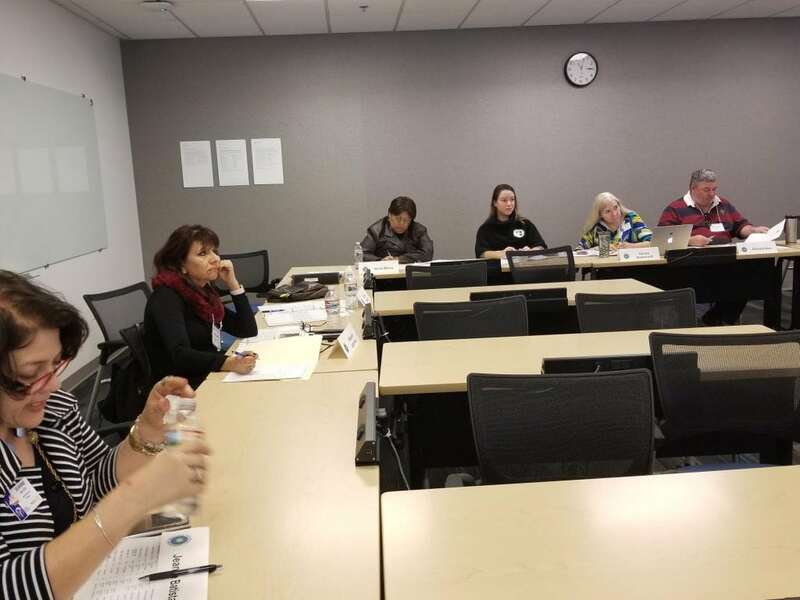 At the beginning of the year, Gene Hernandez was working on Rotary Project Hope, a program to train community leaders through engaging and replicable leadership courses. Those who attended trainings were then given the opportunity to create these leadership trainings for their communities creating a sustainable project that will impact thousands. Member Linda Perla made the trip down to Mexico with Gene to see these courses in action and said it was phenomenal. Thanks to Melinda Robbins, Gene Hernandez, Chris Foster and Raghada Khoury, among others, Anna Casalme received a Rotary Global Grant Scholarship for $61,000 to attend the University of Edinburgh to study Childhood Studies and impact the lives of mothers and children wherever she ends up … Hopefully right back here in the Chino Valley. And lastly, 21-year old Linda Perla took it upon herself to introduce the Honduras Water Project to our club, other clubs across the district and to our District. Thanks to contributions from our club, other clubs and the District, the Global Grant was funded for $500,000 to provide water for 31 schools in Honduras. Members of our club helped to contribute more than $600,000 in financial support to worthy causes. Not only did we contribute with our pocket books, but we also contributed with our hands in the activities I mentioned previously. I’m extremely proud of the work we did this year. I’m proud to be a Rotarian. And I hope you’re proud of the work we did this year too. Thank you to all our Chino Rotary club members who “Made a Difference” this year. 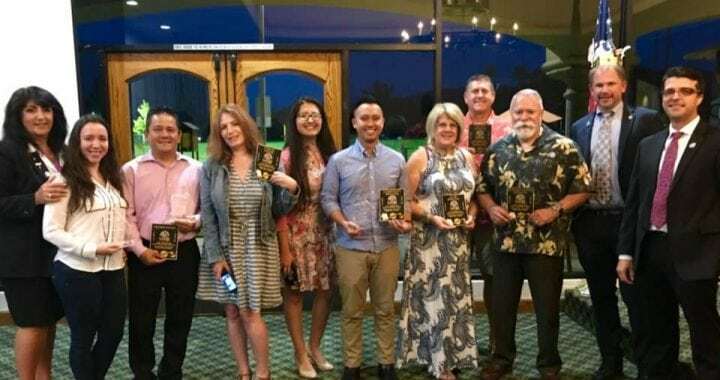 Below is a list of the Chino Rotary Club Award Winners for 2017/2018. To leave you with one last thought, the theme for this year is Be the Inspiration. We can create the world we live in, but we have to “inspire” others to join us as we can’t do it alone. I’m excited to pass the reigns over to Chris Foster as I know he will be the inspiration we need to make our club even better in 2018/2019. Thank you all for being a part of this journey with me. I’m truly grateful. If you know of any other Rotary clubs who could use a better website, tell them to reach out to Zeb Welborn at Zeb@WelbornMedia.com. The Chino Rotary Club had an amazing April as we helped to support a Honduras Water Project, hosted our Stepping Up for Boys program, gave $2,500 to Chino Valley Unified School Teachers via the Mini-Grant program, had four craft talks, Arianna Fajardo shared her experience so far with Big Brothers Big Sisters and CP Phan created an amazing video from his experience at RYLA. Stay tuned to follow how this project develops and see Rotarians in action! 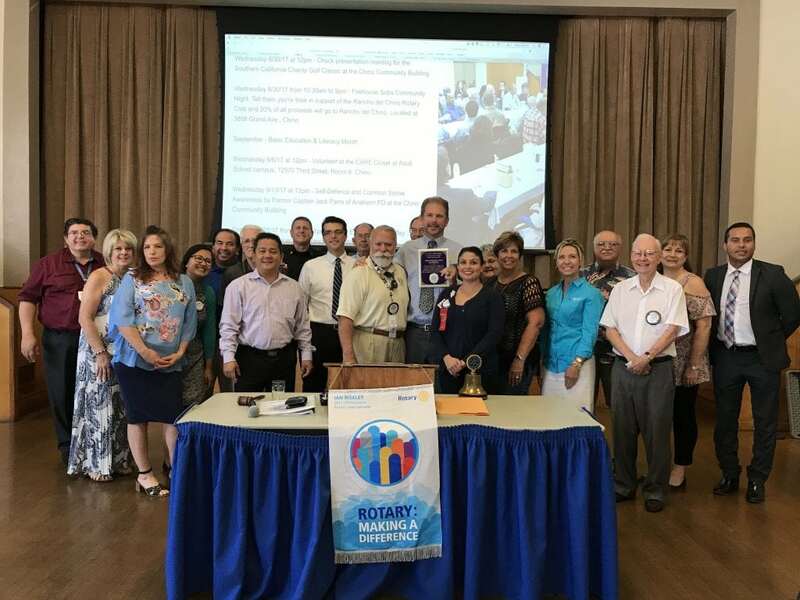 Chino Rotary values our partnership with clubs, internationally and locally, to multiply the impact Rotarians can have when we work together. We are elated to further our partnerships and serve the needy worldwide! 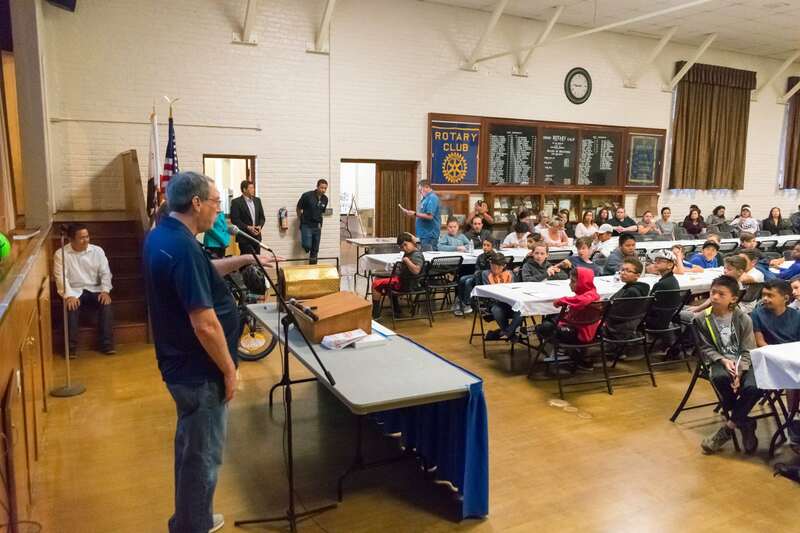 I believe this is the third year the Chino Rotary Club has sponsored the Stepping Up for Boys program and it was a tremendous success. On April 21, more than one hundred 6th grade students attended the Stepping Up for Boys program which helps young students transition from elementary school to junior high school. The program has been a phenomenal success. Thank you to everyone who was involved and thank you to everyone participated. Patrick Wood – Students will engage in model rocket testing and engineering as part of a unit capstone project that teaches Conservation of Momentum and Energy, Newton’s Laws of Motion, and Engineering Practices (NGSS). Rebecca Reger & LauraLee Zuber – All third grade students will fully engage with science phenomena by participating in hands-on activities in order to deepen their understanding of grade level science standards. Students will witness the birth and development of baby chicks, butterflies, tadpoles, and ladybugs (NGSS standard 3-LS1,2,3). We have already purchased incubators and acquired fertile chicken eggs. Students will candle eggs at day 7 and day 14 to observe signs of life and movement. Then they will begin to witness signs of hatching around day 21 (peeping and pecking). They will observe the chicks as they hatch and grow into mature chickens, observing and noting heritable traits. Students will document and make models of different animal life cycles, including butterflies and tadpoles as they metamorphis into their adult stages. Throughout these lessons, students will analyze the similarities and differences between different animal species, including ladybugs. Students will design and perform experiments with magnets, including magnetic slime (NGSS standard 3-3PS2). Students will be amazed as they use magnetic forces to make a paperclip levitate or observe their magnetic slime “eating” a neodymium magnet while simultaneously learning about reactions within the slime. At this time, the state of CA has no adopted science curriculum to support the new Next Generation Science Standards. These materials will provide hands-on experiences for students with the newly adopted standards. Jason Davis – Students will use the Lego Education MINDSTORMS EV3 Space Exploration Set to enhance and extend their understanding of robotics. By adding this set to our existing robotics program, students will simulate a mission to explore the harsh surface of Mars – right in the classroom! Brianda Reyes – I want to integrate more hands on activities for all subjects. I want to be able to purchase or create learning activities for my students to become motivated to learn. Chuck Pope – Each year we invite over 100 Veterans to attend an Oral History Day with th whole Junior Class. The students conduct interviews of one Veteran over a 3 hour period. They then must write a thank You Letter and an essay report on the experience. Tracy Buss – The students have been learning about the life cycle of plants. We also researched plants and what types of fruits and vegetables will grow in our area during each season. Students have planted various winter lettuces and leaf vegetables. We want to harvest our vegetables and create recipes using our vegetables. We will then create a restaurant with the recipes. We will use the money skills we are learning in math to create a menu with prices. Students will make the food and serve it to the parents. We have already harvested and frozen butternut squash for soup and lemons for lemonade. We are going to create a soup and salad menu. The problem is that our irrigation system is in dire straights. Skateboarders damaged the sprinkler system in our garden. We have the basic irrigation system, but need to have the sprinklers repaired. Ashley Rist – I would like to create a mobile green screen “kit” to provide our school with green screen technology. Green screens are used to super impose images into a background, and combined with additional pictures, animations, and media. The use of green screen tech is easy for teachers to use and teach the students to help them create engaging and fun 21st century technology for all elementary school students! Paula Stow – With a Breakout EDU kit, I can turn my classroom into an academically-focused escape room and facilitate games where players use teamwork and critical thinking to solve a series of challenging puzzles in order to open the locked box. Laura Grissom – The following information will be distributed to the class in some way (there is a printable document included in the file). It could be a PowerPoint slide. The purpose of the background story is to just to add a fun element. If you elect to, you could even decorate the room to correspond to the zombie theme. I’ve even thought about making a SAW like video or recording to add a sinister feel to the experience. A former AP student, who is disgruntled from having received a 2 on the English Language and Composition Test in 2012, has locked you all into the room you are now in and has released a virus into the ventilation system. (Here you could elect to trigger a fog machine if you have one). If you do not find the cure in approximately 50 mins (this of course can be altered depending on adding or subtracting steps), you will all turn into brain-dead, Brussel-sprout-eating zombies who will score no higher than a 1 on your upcoming test. Good luck. Step One: Take the Gatsby AP test to obtain the combination to the key lock. (I shorted the original test (also include in the file) for time sake. Any test could work here.) I’ve assigned each answer a point value. I then used the added points to create a combination for my number lock (ordered from Amazon). Step Two: Use the correct combination to unlock key (realtor) lock (somewhere in the room) in order to obtain the key. You could of course use the key to anything in the room that locks. Step Three: Use the key to unlock the locked cabinet/drawer that hides the combination to the locked tool box, which contains an encrypted message. The real combination is written with a black light marker and then masked by shaded pencil numbers. I’ve taped this clue to the bottom of my empty file cabinet drawer. The clue says “hides” and a black light flash light is in the drawer with the combination, but I’m allowing the students no other clues than that for this step. Step Four: Use the combination (158) to unlock the tool box lock and decode a question. The answer to that question is the password to a computer file found on the classroom computer desktop. The question is written in WWI code (just the first letter of each word). You can use any combination lock/box combo. Step Six: Use the antidotal word to unlock the word lock to obtain the cure. Please administer the cure to each student in the room to eradicate the virus and prevent it from spreading to your loved ones outside these walls. Again, good luck. The antidote could of course be anything, but I am electing to use candy. Roseann Graff – I would like to purchase materials to create a weekly Creativity Lab in my classroom using STEM, STEAM, and Makerspace. All of which received $250 Debbie Wilson Mini-Grants. Thank you for sharing your projects with us and making such a positive impact in the lives of youth in our community. This month we had craft talks from Gene Hernandez, Chris Foster, Al McCombs and Rick Bui. Loved learning about the lives of these remarkable human beings. Want to know why Rotary is the best of the best? Look at these folks. Arianna Fajardo joined Big Brothers Big Sisters during one of her first meetings attending the Chino Rotary Club. She’s now been a Big Sister for over a year and her Little Sister and her decided to create a video about their experience in Big Brothers Big Sisters so far. We’re so proud of Arianna for the impact she’s making through the Chino Rotary Club and Big Brothers Big Sisters. 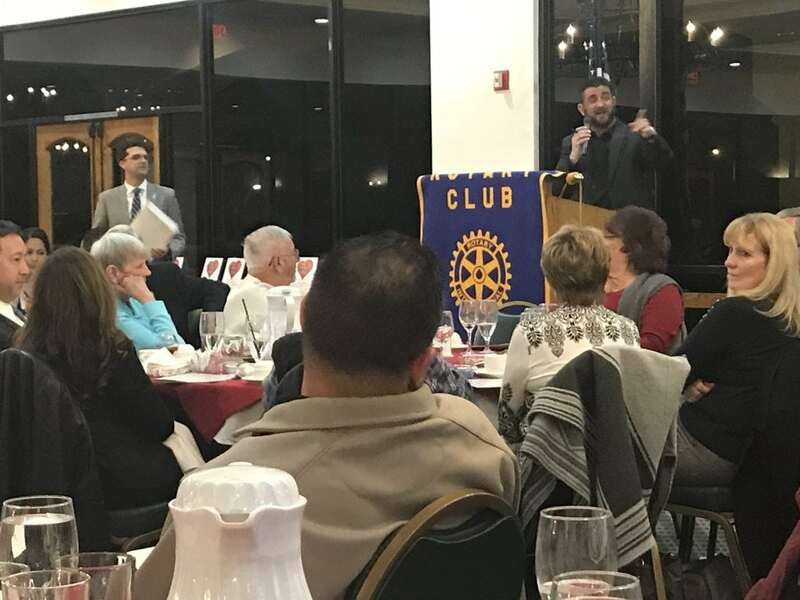 In March, the Chino Rotary Club hosted the annual Dan Stover Music Contest. We had some great contestants and identified a winner who will be moving onto the next round of the music contest. Hopefully we will see him at the District Conference. CP Phan did a great job planning for the month of March. Thanks to CP, we were able to participate in the Sweet Cases Program by Together We Rise. Through their program we decorated duffel bags for foster kids with a teddy bear, hygiene kit and blanket. We hosted our Meet & Greet where we met at Los Serranos Country Club. 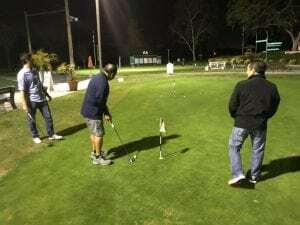 Some of us took some time to hit some golf balls while all of us discussed membership and trying to increase our membership between now and the end of the year. All of us committed to inviting a guest got every meeting from now until the end of June. Looking forward to growing Chino Rotary membership between now and the end of the fiscal year. Lastly, we hosted our first of a series of Craft Talks. Our first craft talk went to Melinda Robbins and Jon Monroe who shared some exciting insights into how they got where they are today. We learned so much about Melinda and Jon. 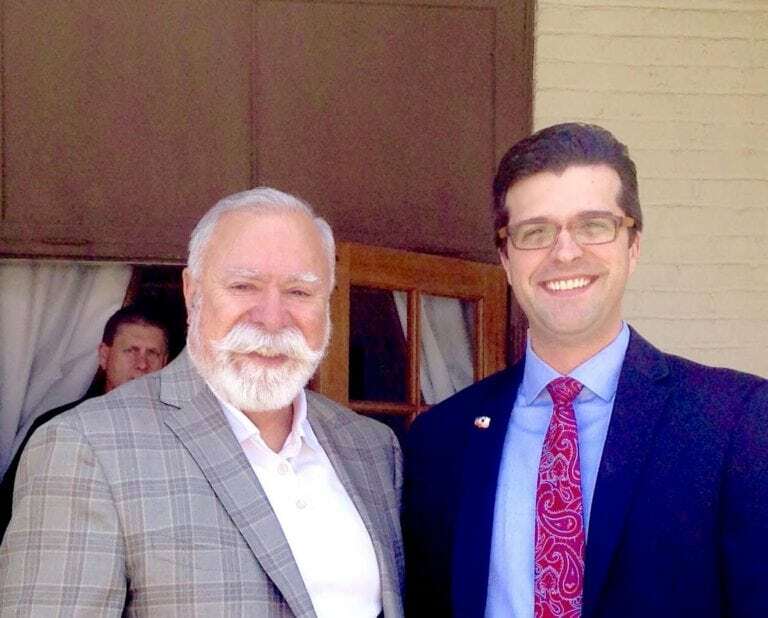 They both set a great precedent for the future of our Chino Rotary Club craft talks. 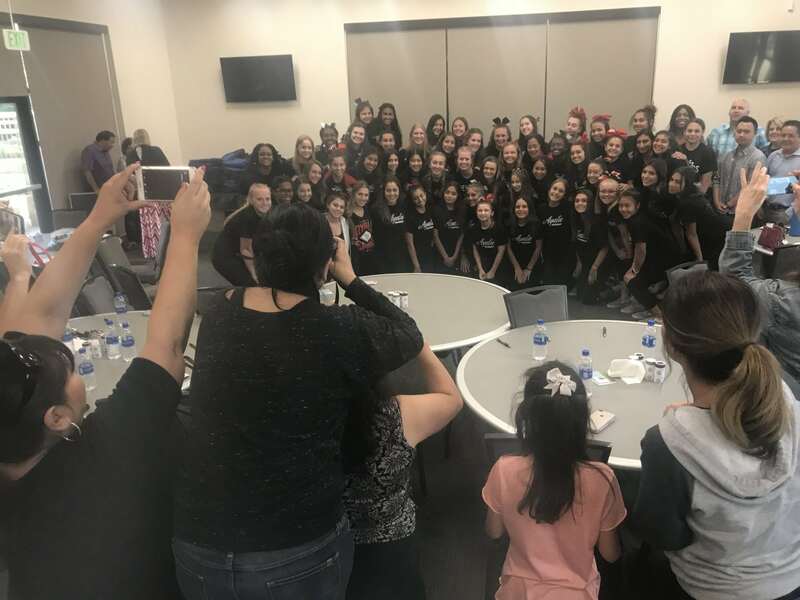 In April we have a lot coming up including Stepping Up for Boys, the District Conference, the Debbie Wilson Teacher Mini-Grants, more craft talks and an update on Arianna Fajardo and her little sister from the Big Brothers Big Sisters Program. We also have a lot to celebrate as JV Cuasito and Narvee Intarachote welcomed new children into the world. Zeb Welborn and Chris Foster are not far behind with children due in July and August. 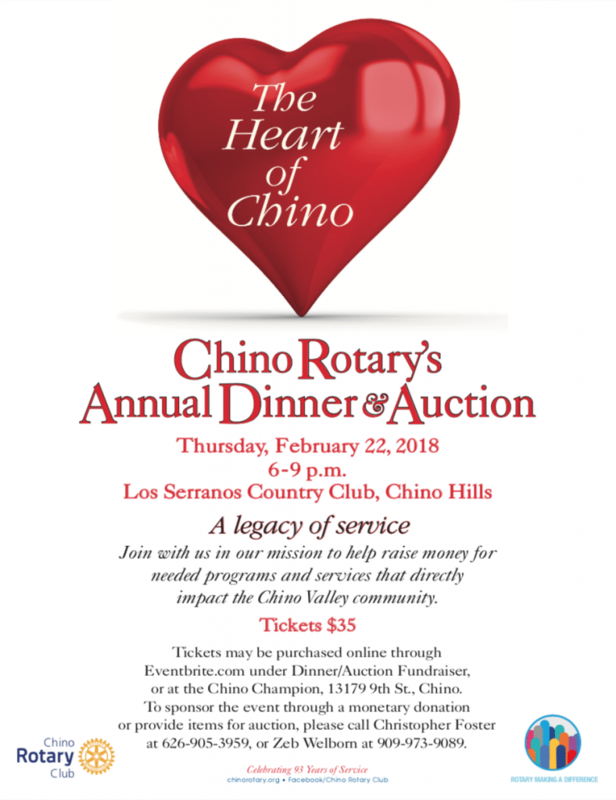 February is always the busiest month of the year for us Rotarians as we plan and execute our annual fundraising event the Chino Rotary Dinner & Auction. The Dinner & Auction helps raise fund which we use throughout the year to make a positive impact in our community. In addition, we also hosted the 4-Way Speech Contest, added two new members, and attended President’s Advance and the Foundation Gala. Our Chino Rotary Dinner & Auction was a huge success. Our goals were to double our sponsorships, attendance, donations and money raised. Although we didn’t double these efforts we substantially increased all of these efforts from our 2017 Dinner & Auction. Great work Chino Rotarians on making our Dinner & Auction a huge success. 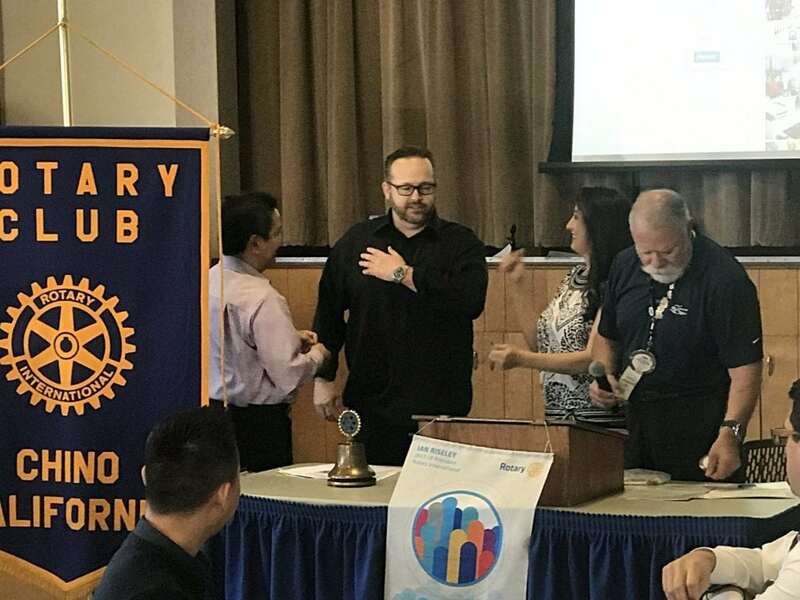 We added two new members to the Chino Rotary Club this month. Delinia Lewis and Jon Monroe became our newest members. 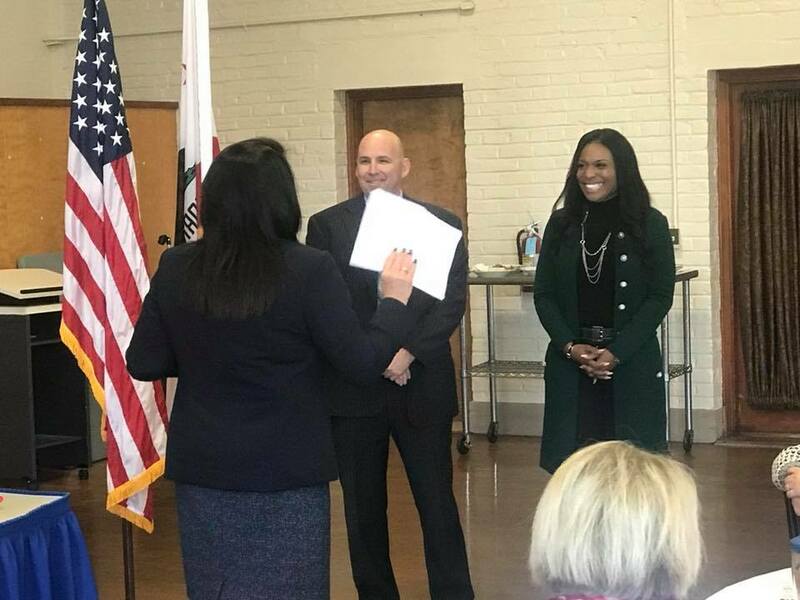 Delinia Lewis is the Community Resource Manager at the California Institution for Men and Jon Monroe works with the Chino Police Department. Congratulations to Jon Monroe and Delinia Lewis on becoming members of the Chino Rotary Club. We were excited to partner with the Rancho del Chino Rotary Club this year to host our 4-Way Speech Contest. We had an amazing speaker who will be representing us beyond our club. We’re very proud to be represented by such an amazing young lady. 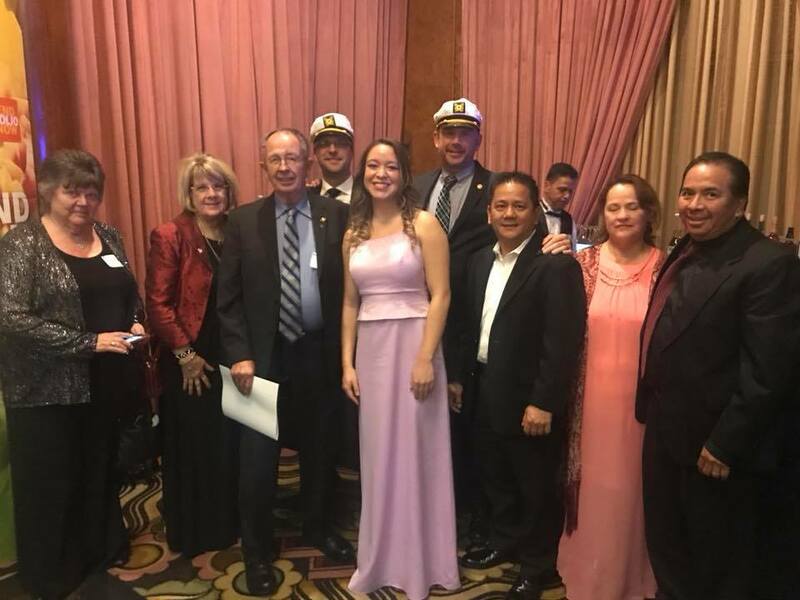 Chino Rotarian Dale Bright was honored at the District 5300 Foundation Gala at the Queen Mary as the Chino Rotary Foundation Member of the Year. Congratulations to Dale Bright and thank you to Melinda Robbins, Linda Perla, Rick Bui, Chris Foster and Anthony Verches for attending to show your support for Dale. 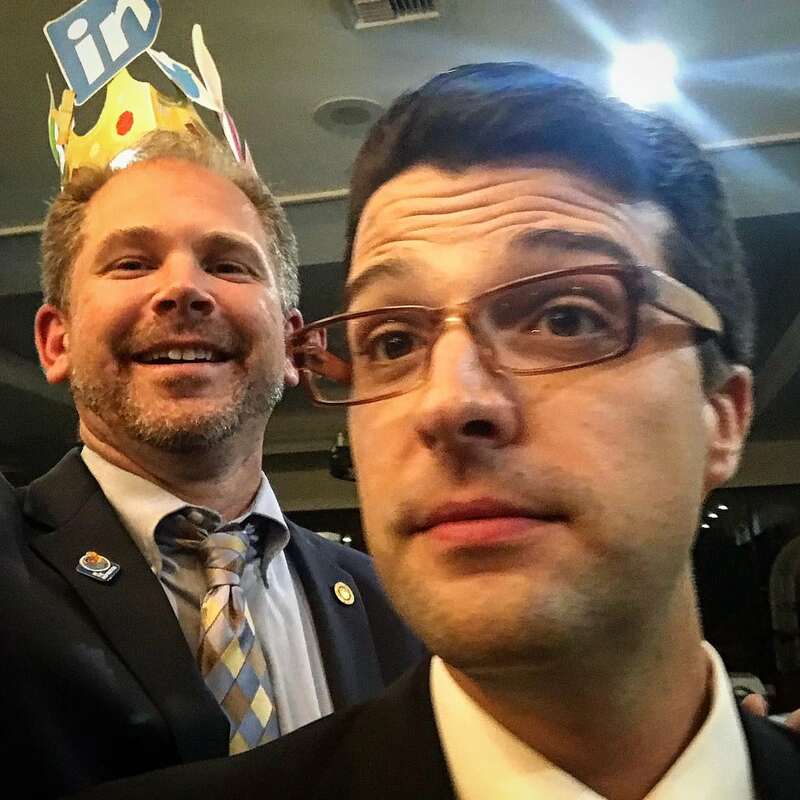 Chris and I also attended the President’s Advance on the Queen Mary so we could set up a strong succession plan for the Chino Rotary Club moving forward. 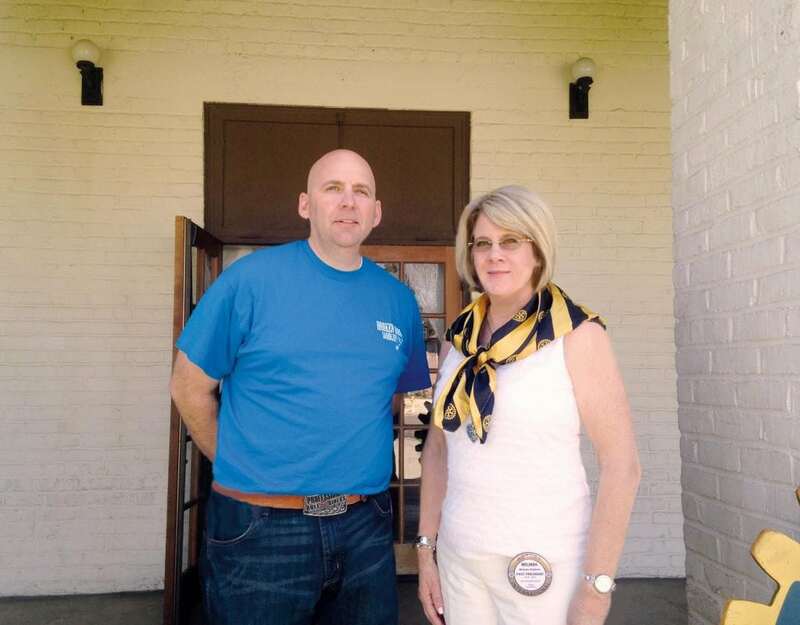 Congratulations to Regina & Eric Price on becoming Rotarians yesterday. Past District Governor Gene Hernandez presided over the installation of our newest members and Rick Bui sponsored them. 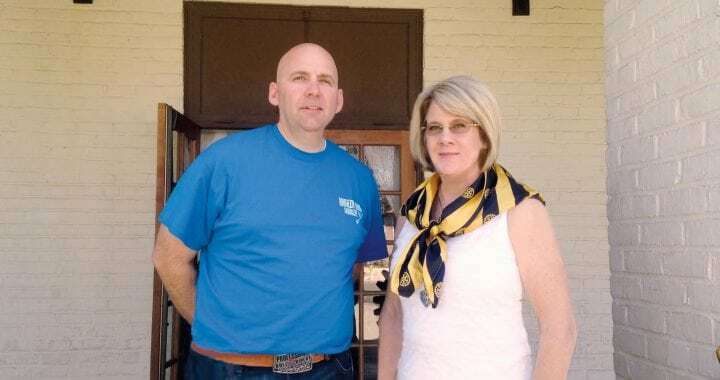 Regina & Eric have a passion for service and helping others. We are excited to have them join the Chino Rotary Club. 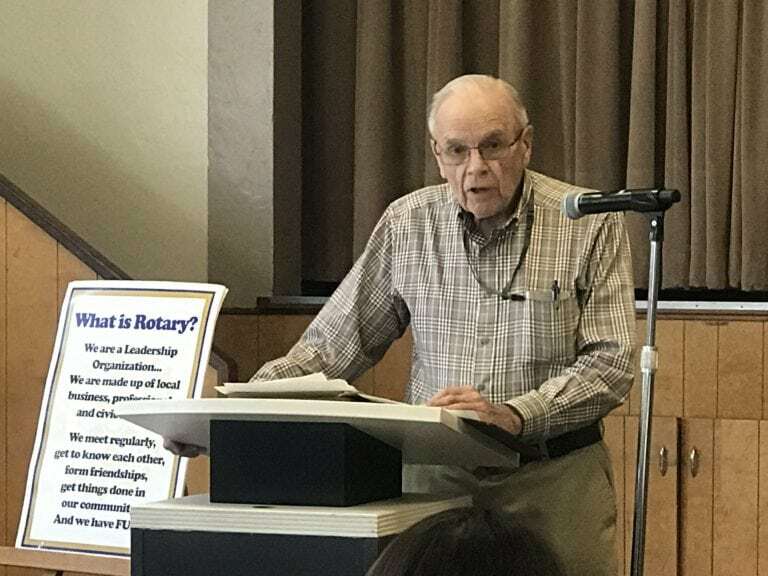 Chino Rotarian Jeff Werner shared everything there is to know about the new tax laws for 2018. Rick Bui helped secure a donation of 600 children’s books from children’s author, Anne Kruse. 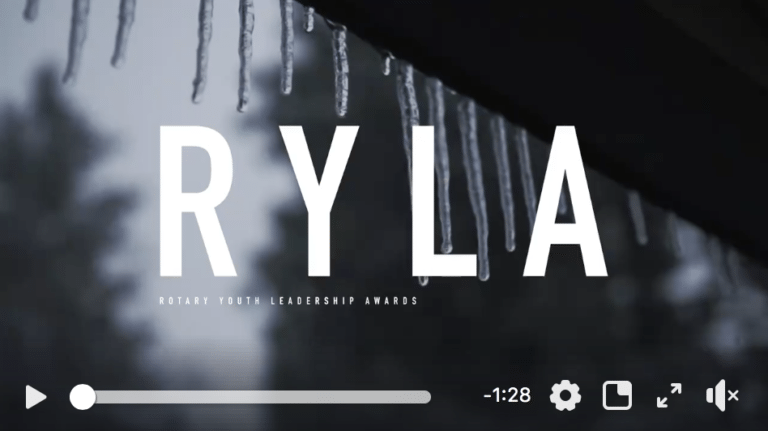 Several members or our team attended the Rotary Leadership Institute in January. 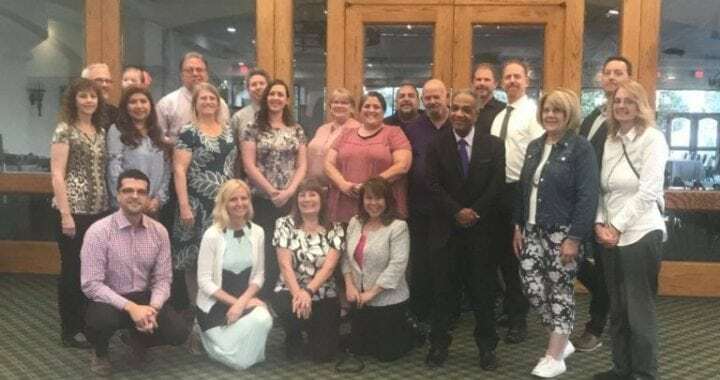 The District 5300 Rotary Leadership Institute trains new leaders in Rotary. Thank you to Linda Perla for getting involved in Rotary Leadership. 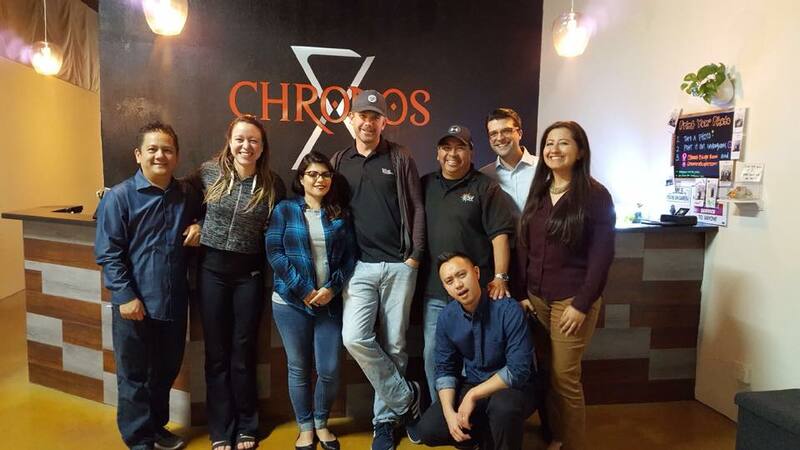 In an effort to be more social and participate in team building exercises, the Chino Rotary Club visited an Escape Room in Pasadena. The people at the Escape Room were very impressed with our deductive skills and although we didn’t escape we had a lot of fun and got to connect with one another on a more personal level. Thank you for organizing this CP Phan. Our Chino Rotary Dinner & Auction is only 17 days away. Please help us secure sponsorships, donations and attendees for our annual event. 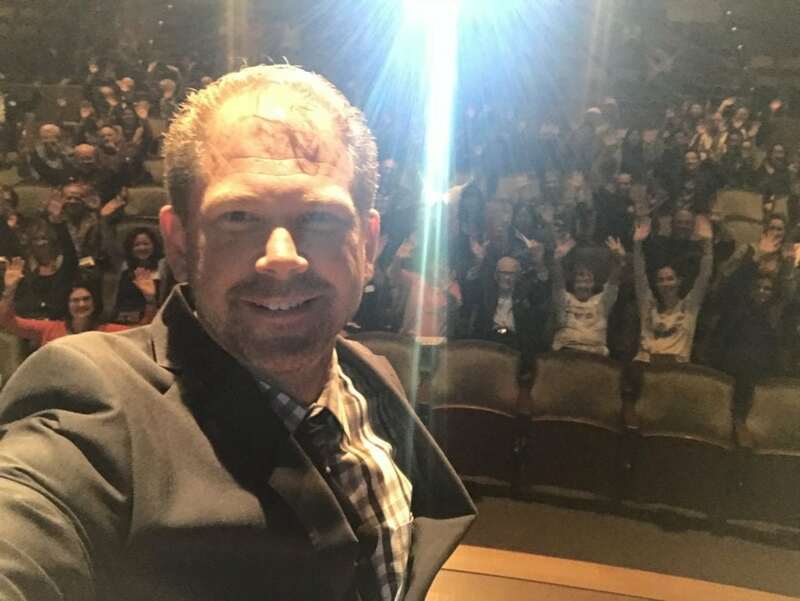 In November, I spoke at the District 5300 Rotary International Peace Conference at the Huntington Library to hundreds of Rotarians on The Impacts and Uses of Social Media on Peace Building. 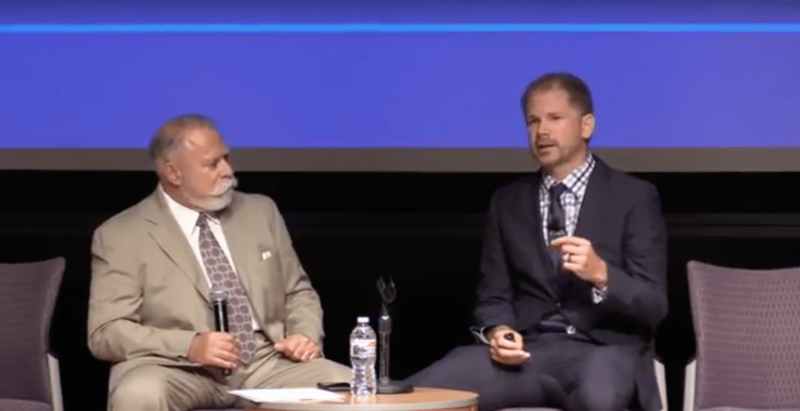 If you have a chance to watch the video I’d love your feedback on the talk and the insights I shared on how impactful social media is in our world today. 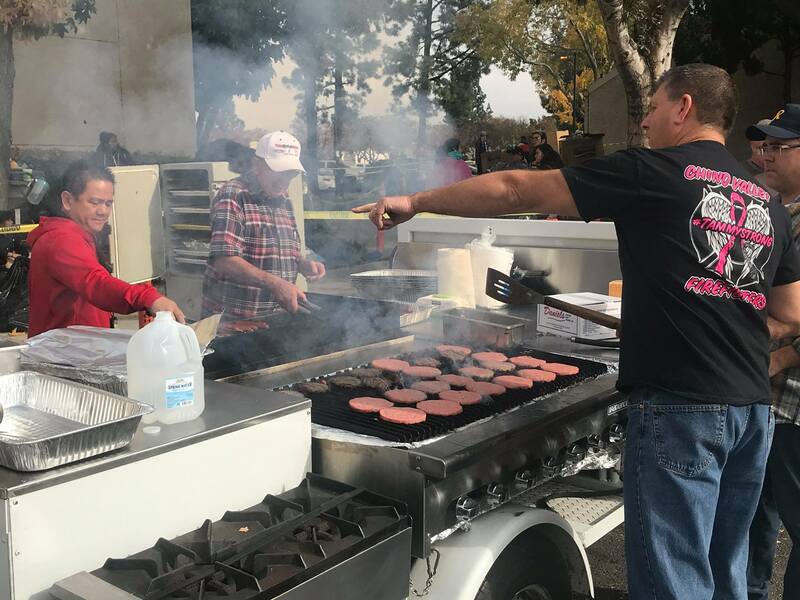 The Chino Rotary Club finished 2017 on a high note. 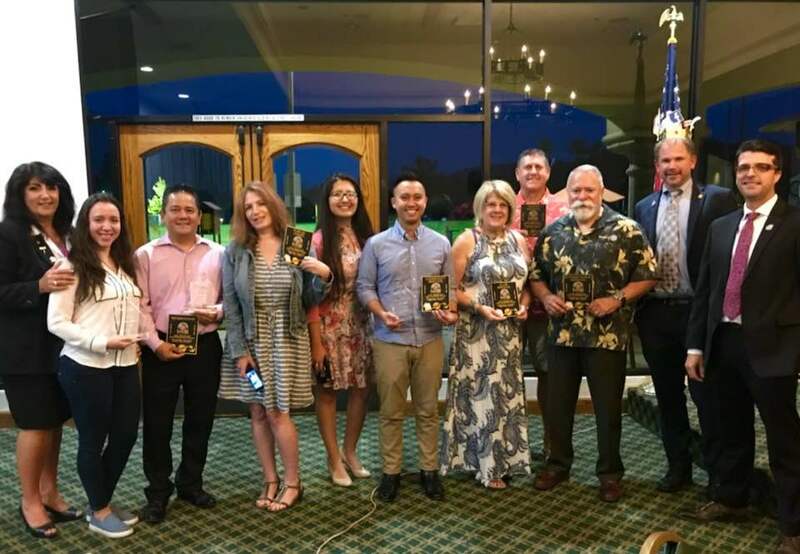 During the month we selected our 2018/2019 Board of Directors, were recognized by the Chino Valley Unified School District, helped build the Rotary Tournament of Roses Parade float, and assisted Isaiah’s Rock for the food giveaway and for their holiday giveaway. Congratulations to everyone who was asked to serve on the 2018/2019 Chino Rotary Club Board of Directors. 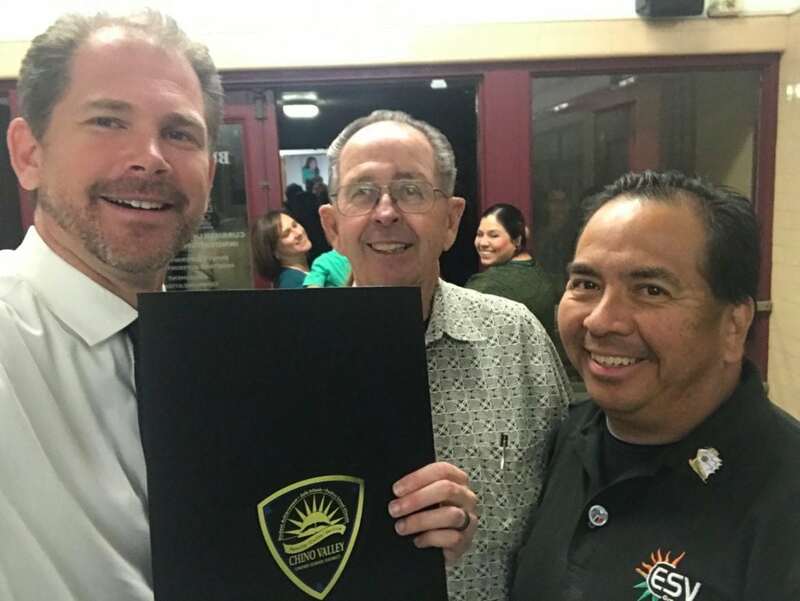 The Chino Valley Unified School District recognized the Chino Rotary Club for all the work we did for our community in 2017. Looking forward to helping more local youth in 2018. 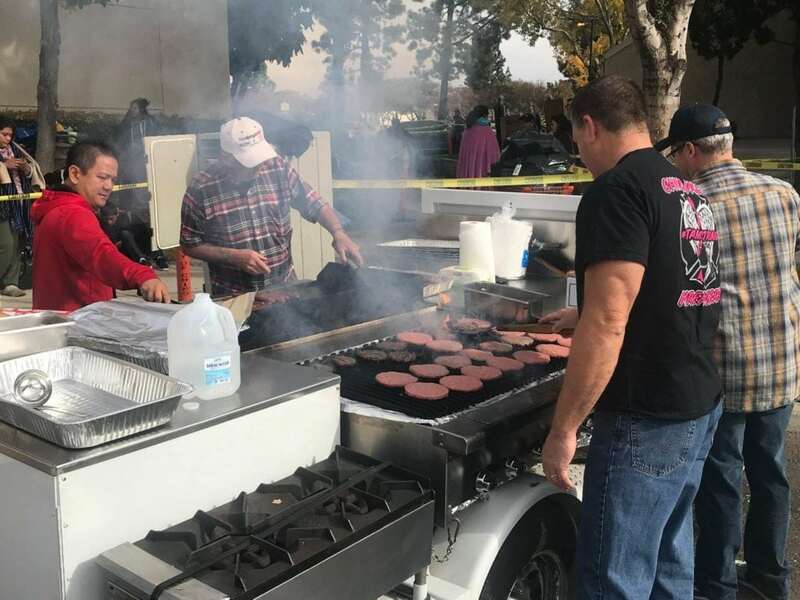 We helped distribute food to needy families for Isaiah’s Rock on December 20 and helped them by cooking food for volunteers at their toy giveaway on December 23. 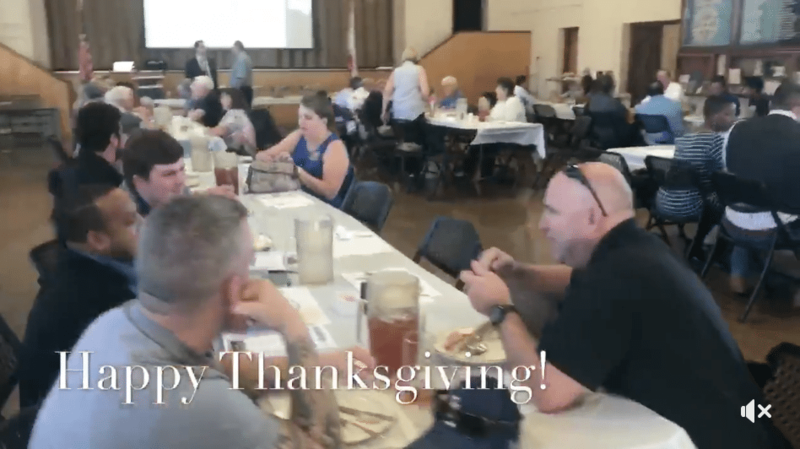 We invited the Chino Rotary Club, Chino Kiwanis, Rancho del Chino Rotary Club and Soroptimist International of the Chino Valley to attend our Holiday Luncheon on December 13. We loved spending time with other groups who are doing amazing things in the Chino Valley. 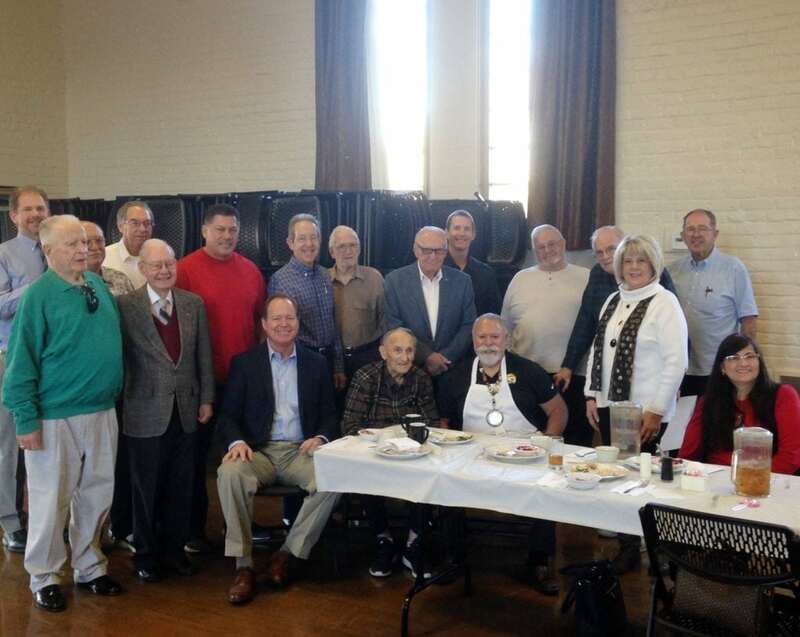 One of the coolest things about our Holiday Luncheon was having Kevin Sullivan reach out to many past-Presidents of the Chino Rotary Club to attend our Luncheon. It was great seeing these leaders who have helped impact our community in a substantial way. Several members of the Chino Rotary Club assisted on the Rotary Tournament of Roses Parade Float. It was a lot of fun creating the float for the 2018 Tournament of Roses Parade. 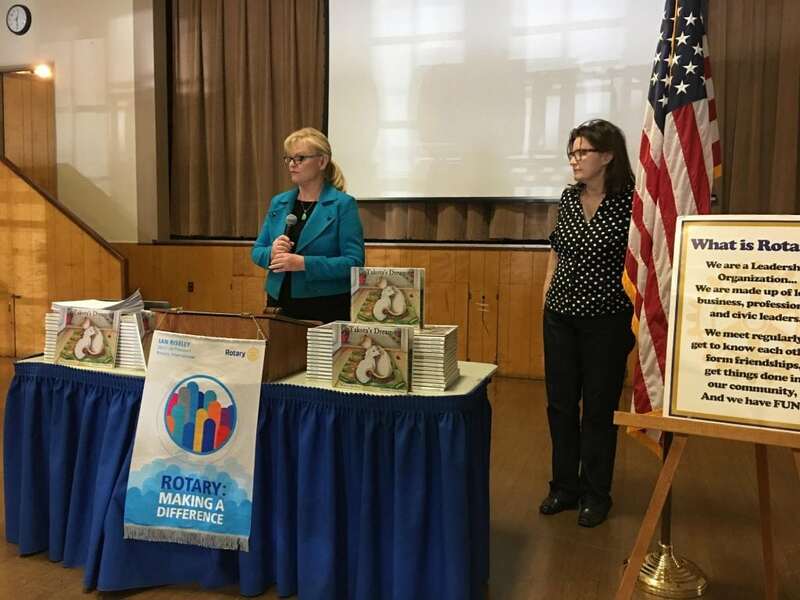 The Chino Rotary Club accomplished a lot in November. We inducted nine new members, put together Blue Star Boxes for veterans, attended a Steven’s Hope Luncheon, hosted a Thanksgiving event for local service clubs and sponsored a play for students at Lyle S. Briggs Fundamental School. 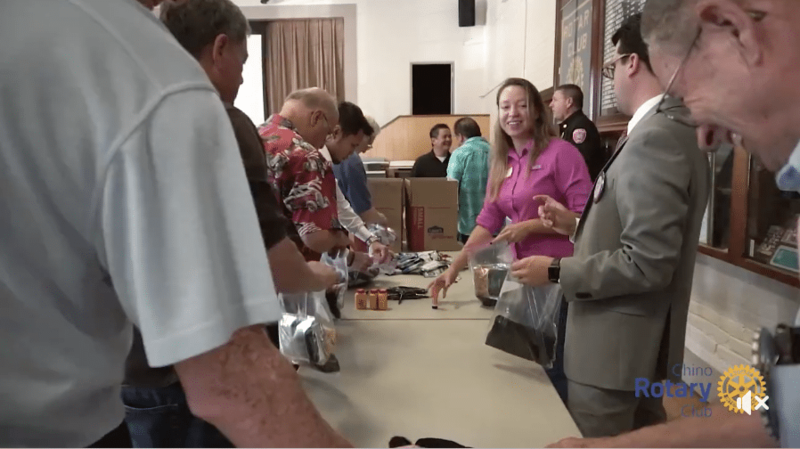 On November 8, the Chino Rotary Club got together to put together Blue Star Boxes for Veterans at the Chino Community Building. during a child’s extended treatment and care. 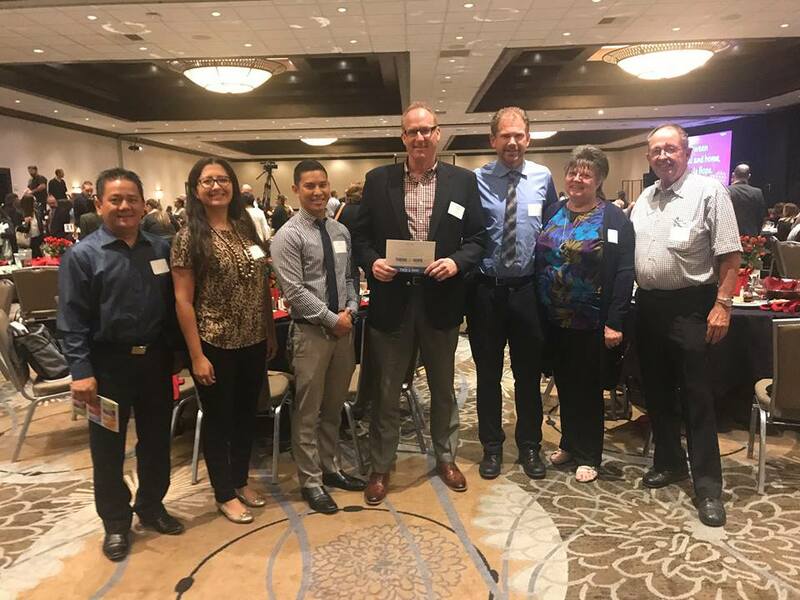 Earlier this year we gave out $5,000 via the Debbie Wilson Teacher Mini-Grant program to 15 different teachers in the Chino Valley Unified School District. One of those teachers used the funds to help put on a play at Lyle S. Briggs Fundamental School called The Magical Treehouse Night at Dawn Kids. President Zeb Welborn and Past District Governor Gene Hernandez were invited to the Zone Institute as a representative of District 5300. Zeb is helping the District with Public Relations and Gene is attending as a Past District Governor. Zeb Welborn, Louise Hernandez and Gene Hernandez at the Zone Institute in Reno, NV. Our Rotary Club was fortunate enough to visit Dave, his family and Isaiah’s Rock one last time before he passed and donated $2,000 to the organization. Our club worked at Isaiah’s Rock on Wednesday, Oct. 11 to provide food for needy families in the Chino Valley. 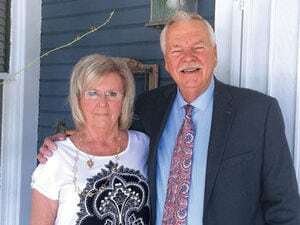 It’s amazing how many lives Dave and Charlene King have impacted because of their kind and giving hearts. Dale Bright, Lorraine Sacca and Melinda Robbins set up a booth at the Chino Valley Chamber of Commerce Business Expo and met lots of new potential Rotarians. 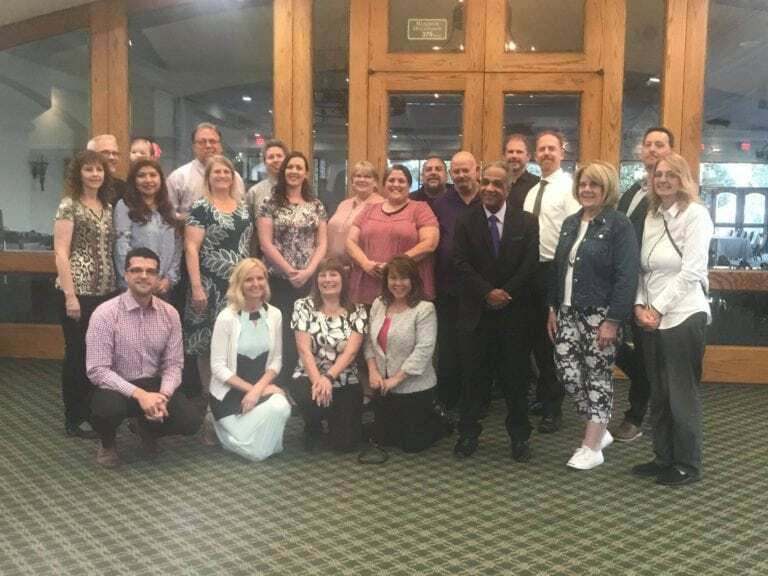 Big Brothers Big Sisters came to the Chino Rotary Club to share how they are helping make young peoples lives better by providing mentors to them. 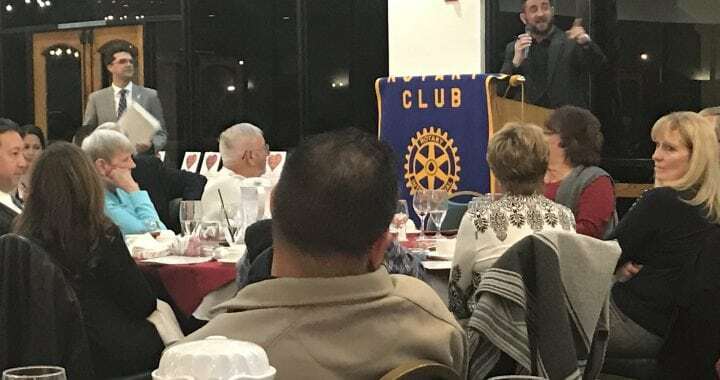 Chino Rotarian Chris Foster is on the Board of Directors for Big Brothers Big Sisters and Arianna Fajardo became a Big Sister last year when Big Brothers Big Sisters came to speak to our organization. We gave $500 to help support Big Brothers Big Sisters on October 4 during our regular Chino Rotary Club meeting. 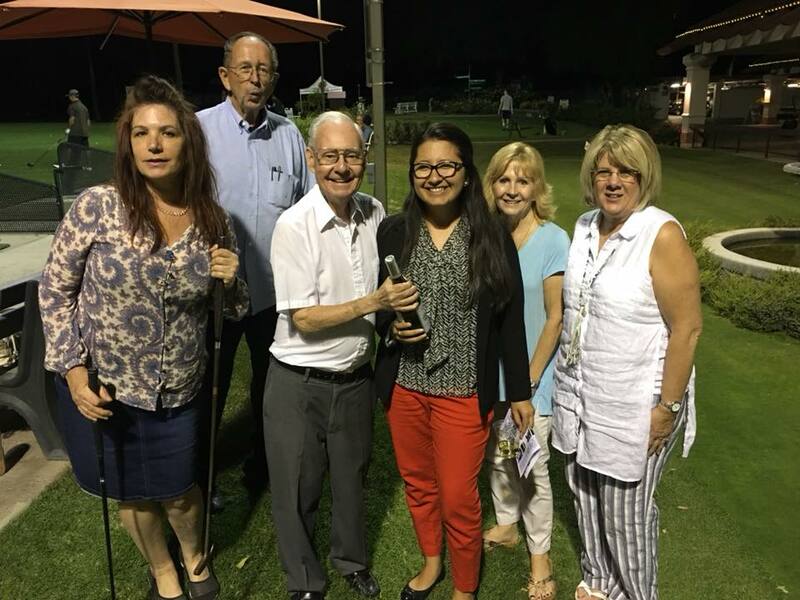 Our Meet & Greet was held at Los Serranos Country Club on October 25 where we held a putting contest, thanks to Kevin Sullivan, for a bottle of Chardonnay. Arianna’s putt was the closest and she took home the bottle for her efforts. 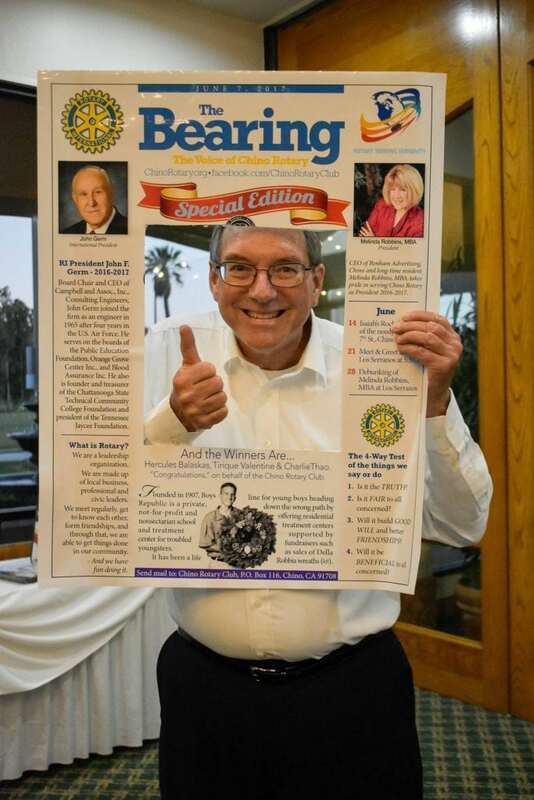 The Chino Rotary Club did a lot of good in September. 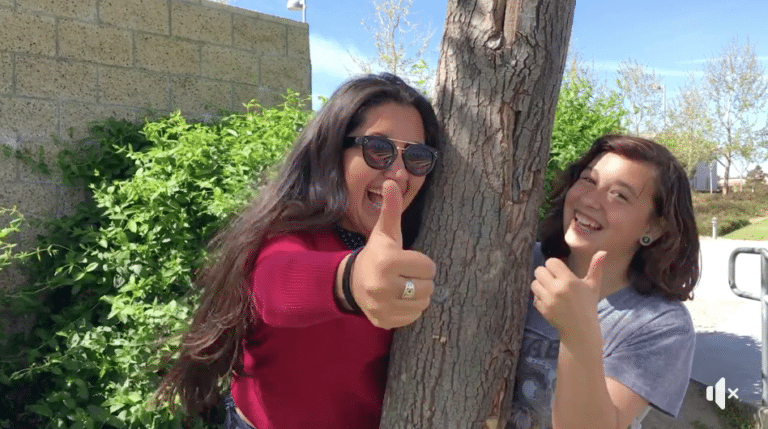 We worked the CARE Closet, attended Chino Day at the Fair and secured a Global Grant for our sponsored student, Anna Casalme to attend the University at Edinburgh in Childhood Studies for $61,000. We started the month visiting the CARE Closet, a program run by the City of Chino and the Chino Valley Unified School District. 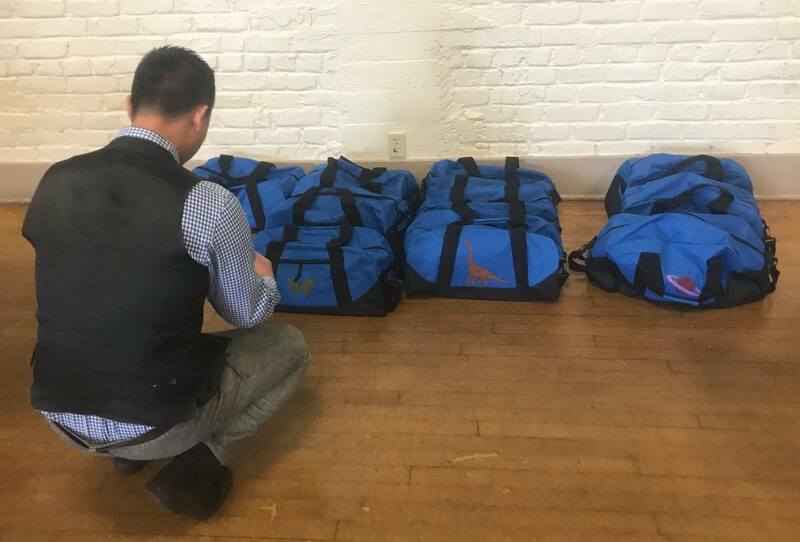 Through the program we helped prepare clothes and supplies for homeless and needy families in the Chino Valley. 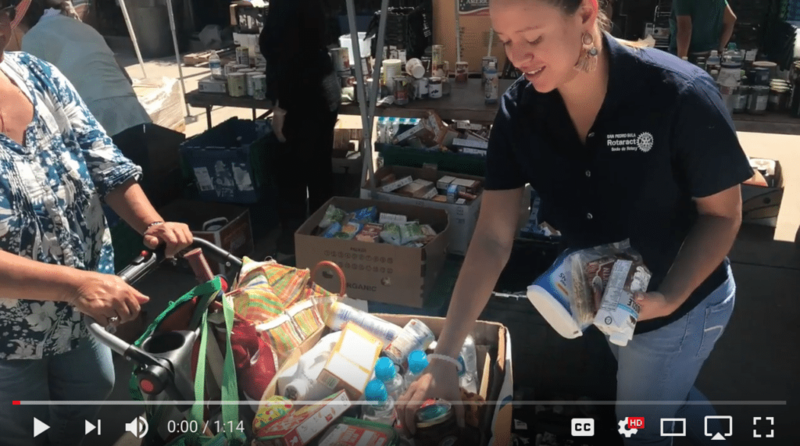 The video we shared on Facebook and YouTube received thousands of views and had dozens of people ask for the address so they could donate clothing and supplies to the CARE Closet. Thank you to Arianna for arranging the opportunity to work with the CARE Closet. Thanks to Chris Foster, Gene Hernandez and Melinda Robbins for helping secure a Global Grant for Anna Casalme. Anna reached out to us back in February asking if we would sponsor her to be a global grant recipient. Our club agreed to offer her a scholarship of $1,050 and she was nominated to receive a Global Grant from Rotary International which she received! 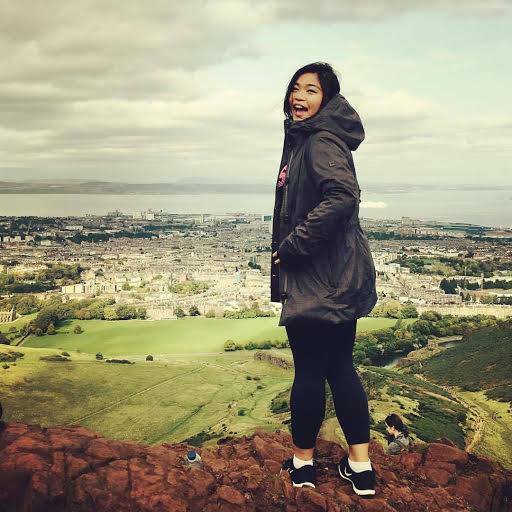 Anna, a Chino Hills resident, is now attending a Masters Program in Childhood Studies at the University of Edinburgh in Scotland. A great job by Chino Rotarians, our Rotary District 5300 and Rotary International for helping Anna get a Global Grant. 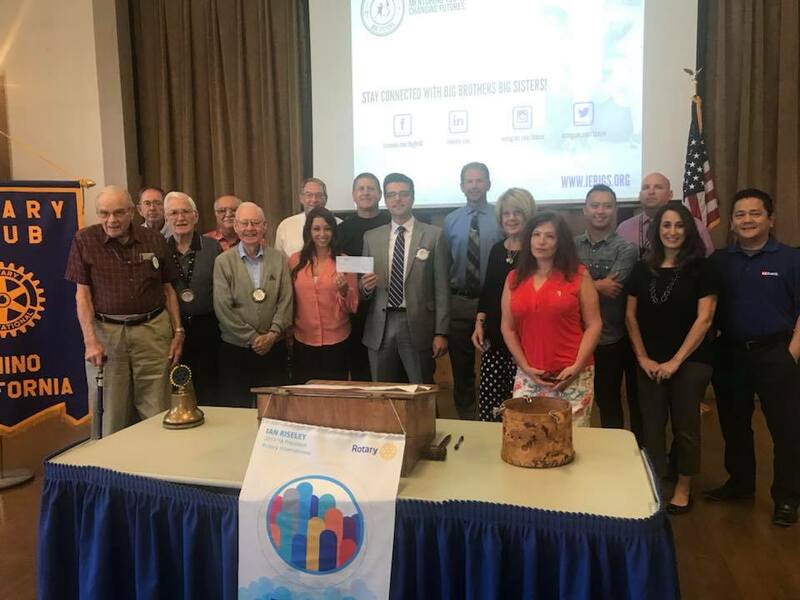 August was another busy month for the Chino Rotary Club as we worked with the Inland Empire United Way and distributed $14,400 in checks to worthy charities. Melinda Robbins spoke about human trafficking and the Rotary International Convention. And Larry Welborn spoke about Why Journalism is Important. 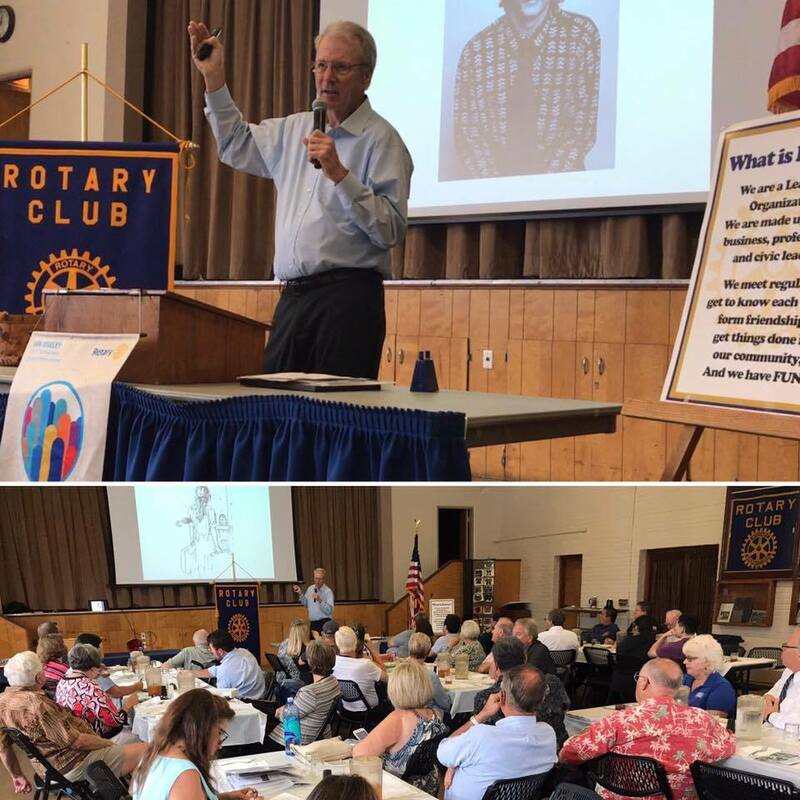 On August 2, Larry Welborn, my father and hero, a retired journalist for the Orange County Register came to speak to the Chino Rotary Club about Why Journalism is Important. 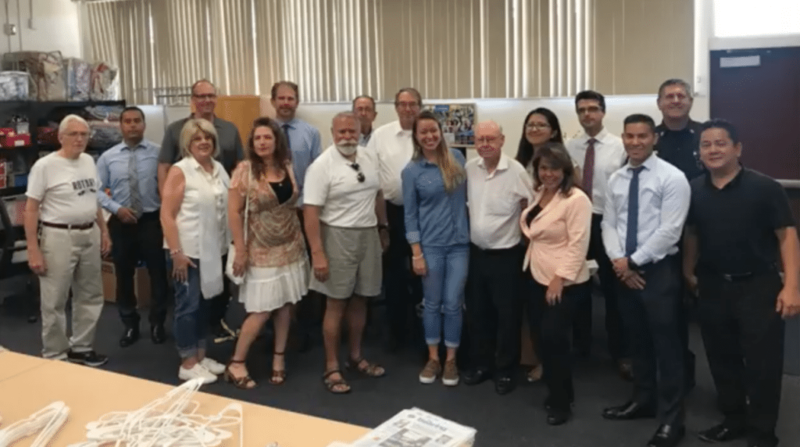 On August 16, the Chino Rotary Club visited the Inland Empire United Way to take a tour of their facilities. The United Way does a lot for our local community including manning the 211 call center and collecting food and clothing for needy families. Several Rotarians stuck around to write cards for terminally ill children to help brighten their day. 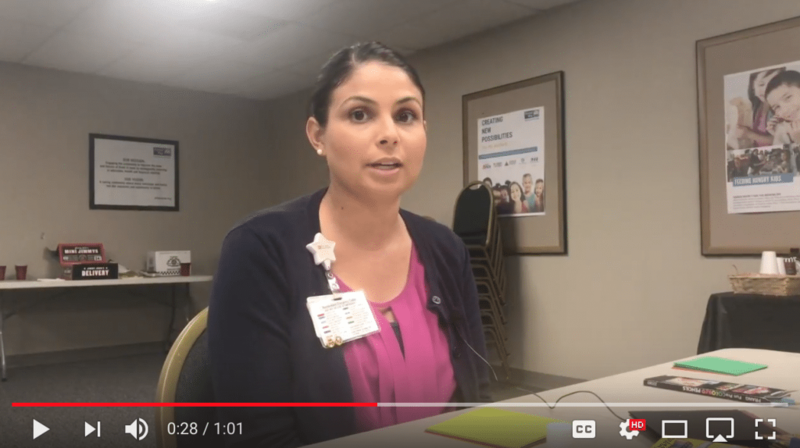 We shot this video to document our visit: Chino Rotary Club Visits the Inland Empire United Way. On August 23, Melinda Robbins shared her experience at the Rotary International Convention in Atlanta, GA where they focused on one of the biggest issues facing our world today, human trafficking. 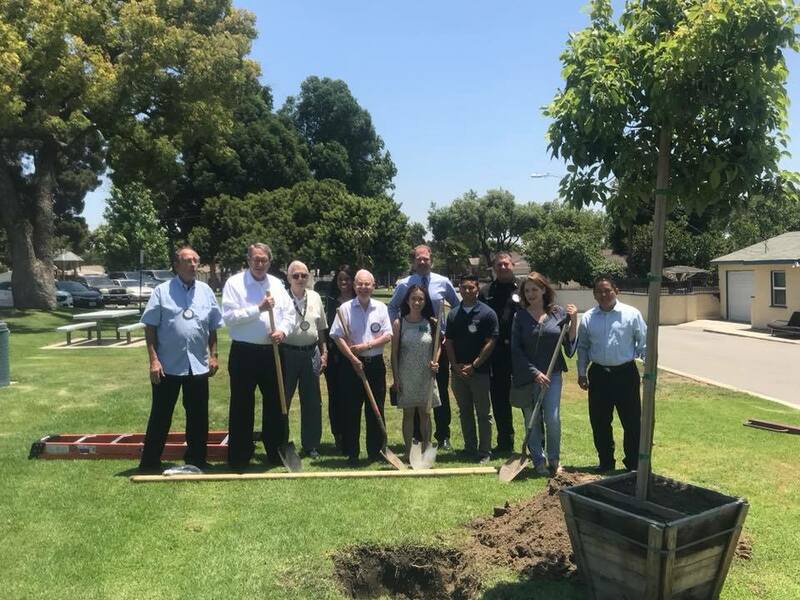 And on August 30, we distributed $14,400 to five different local charities: Boys Republic, the Chino Rotary Club, Love Them All Foundation, Priceless Pet Rescue and The Let It Be Foundation. © 2019 Rotary Club of Chino.